While it may have been a seemingly innocent platform for lunchtime selfies and celebrity buzz five years ago, Instagram has exploded as a major hub for marketers. The popular photo-sharing platform recently passed 700 million users, many of which are more than happy to use the platform to purchase products and engage with brands. 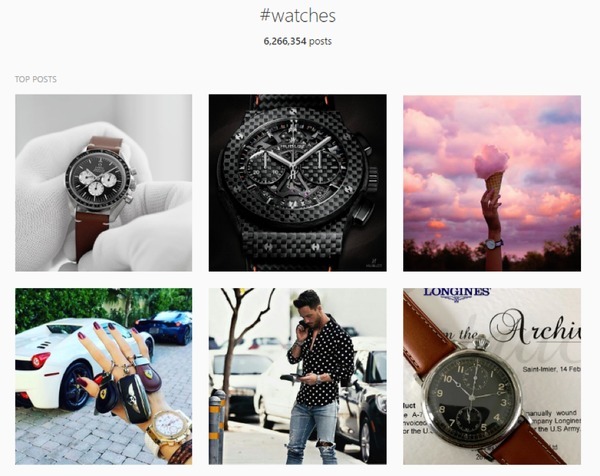 Considering that 65% of Instagram posts feature some sort of a product, there are definite financial and branding incentives for marketers to hop on board ASAP. Bear in mind that Instagram is a totally different game versus the likes of Facebook or Twitter. If you try taking a blanket approach to growing your following on Instagram, you’re inevitably going to struggle. Getting Instagram followers in the face of crowded competition often feels like an uphill battle, especially if you’re trying to do so organically. Does that mean creating a hungry following is impossible? Absolutely not. Beefing up your follower count requires a strategic, creative approach to Instagram marketing, not a brute force assault on your audience. If you’re looking to attract a legitimate following that actually hangs on your every post, consider this step-by-step guide as a solid starting point. Relax. The best place to begin building your following is by tapping into your existing base of customers. For example, start by curating new followers via your email list. After all, your opt-ins and past customers represent your most qualified leads. These users are much more likely to engage with your content than some random person who wound up on your Instagram page. Social media invite emails represent a straightforward way to encourage current subscribers to become followers. Since 58% of people follow brands on social because they’re interested in promotions, it never hurts to add some sort of incentive for your email subscribers to smash the “follow” button. In fact, 42% of people followed a brand specifically because they were offered an incentive. Clever, right? Next, you can go after new followers via your existing social base. Let’s say you already have a few hundred or thousands of followers via Facebook and Twitter, and you want to bring those same followers into the fold on Instagram. Whether through discounts, deals or exclusive content, providing that extra “push” to turn your customers into followers is crucial for a bigger following. If you’re blindly blasting photos on Instagram in hopes of making any traction, you’re doing it wrong. Each and every post needs some sort of purpose, whether that means engaging via like or comment, or simply funneling your followers back to your store. 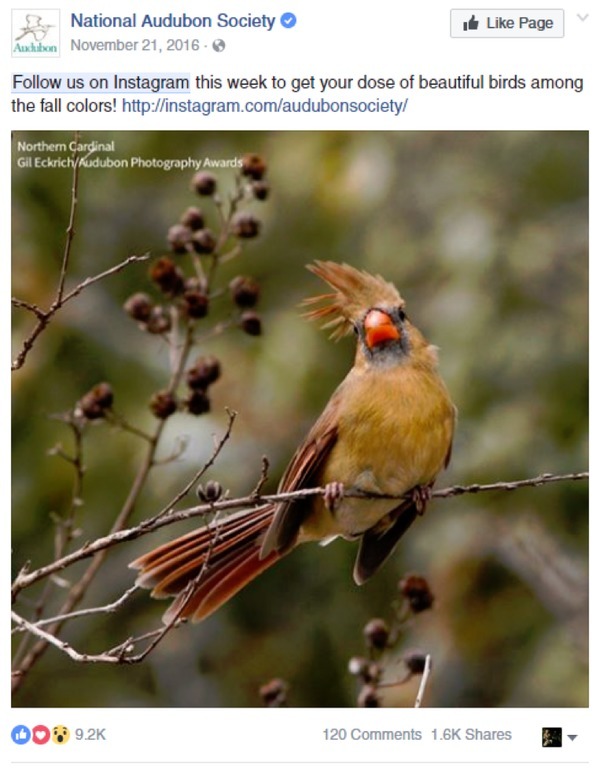 For this reason, both Instagram bios and captions are so important for businesses. Consistently providing followers the opportunity to react to your posts in some way, shape or form is always a plus. There is no “right” way to craft an Instagram bio, but providing followers with suggestions on how to engage with your brand is always a good idea. And as far as actions go, there are a ton of options brands have when it comes to reacting to individual posts on Instagram. Regram. Tag-a-friend. You name it. The best type of content gives your followers something to do. Even something as simple as asking a question can drive engagement, as seen in this example by T-Mobile. And speaking of content, brands are expected to provide their followers with a steady stream of posts that keep their eyes peeled. 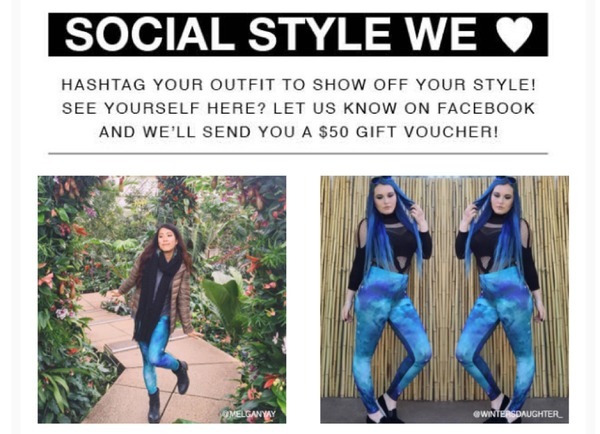 Giveaways and contests, which typically drive insane amounts of engagement. Bold, one-of-a-kind photos that cause your followers’ jaws to drop. Anything featuring a branded hashtag that you want to spread. Not only does this post grab the attention of followers through an awesome giveaway, but it also provides specific action steps for those looking to enter and win. If you think that asking your followers to take action is a waste of time or “too much work” on their part, think again. Although Justin Bieber might get away with only following a few dozen people, your brand likely needs to take a more aggressive approach to grow your audience. Don’t be an island. Instead, you can take advantage of hashtags and popular posts to discover users who are likely to engage with your content. Let’s say you sell luxury fashion or products related to watches. What better place to look for both content inspiration and new followers than through the top posts of a relevant hashtag? You can’t expect followers to flood to you out of nowhere. Beyond creating content that your audience loves, brands are expected to reach out and find new followers themselves. On a related note, there’s also the question of whether or not you should follow your competitors via Instagram. Especially since you’re probably trying to steal their followers rather than become buddy-buddy with them. You absolutely should follow your competition’s social activity to understand which of their posts are gaining traction and to get a general view of what their content strategy looks like. 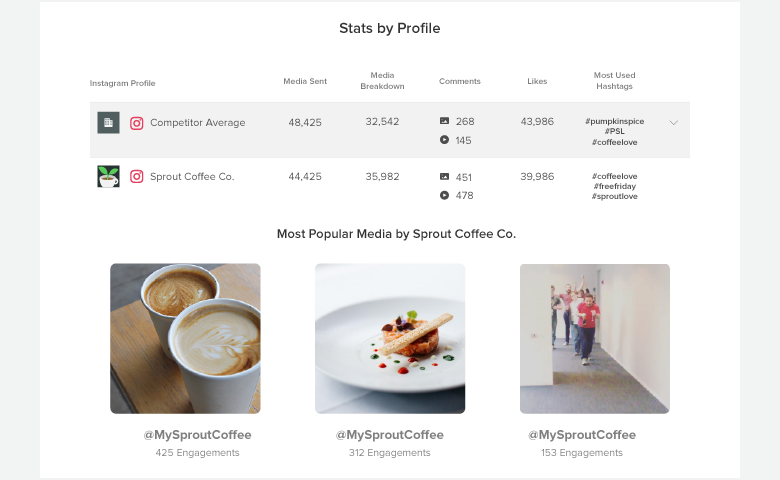 That said, you can use tools such as Sprout Social’s Instagram Competitors Report or setup a dummy Instagram account to follow them and their content. If you’re tired of sitting around and hoping that new followers will fall into your lap, you might want to consider a “share for share” campaign. Simply put, share for share posts are exactly what they sound like: one brand exchanging content with another brand for the sake of sharing. These types of posts often include a CTA to follow an account or use a branded hashtag. 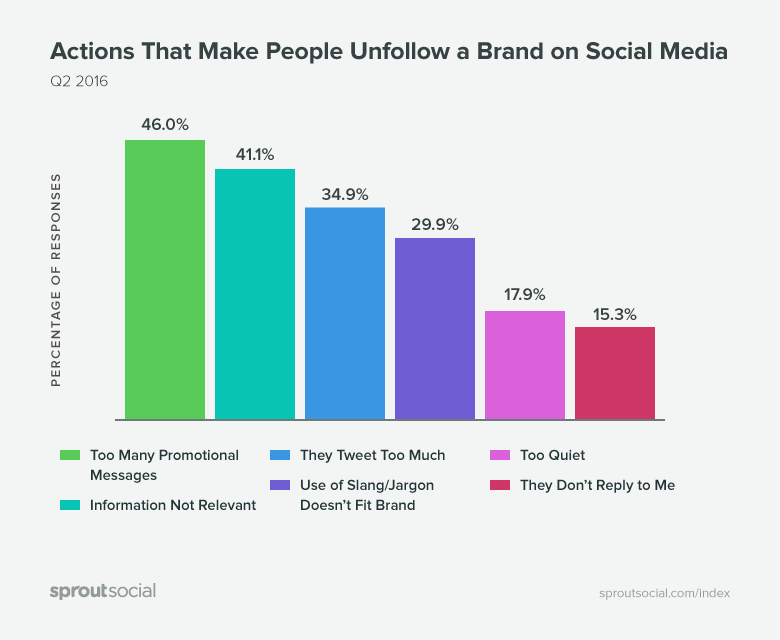 Although these types of post require some legwork and outreach, they represent an active way for brands to seek out new followers rather than twiddle their thumbs. In an era of Instagram dominated by user-generated content, one of the best ways to boost your follower count is by showing your current followers some serious love. Giving your followers a shoutout through regrams and tagging isn’t just fluff, either. In fact, 87% of today’s brands are taking advantage of user-generated content which signals the power of engaging followers on a regular basis. Followers want and expect brands to get on their level. Giving your followers a shoutout lets them know that you’re listening to them and willing to boost their posts too. Tagging followers and encouraging the tagging of your own posts is a win-win situation for brands. Not only do you create a steady stream of new posts on behalf of your followers but you also create a more engaged base of fans. Considering that nearly 50% of users want to be told what type of content to create, there’s certainly no harm in asking followers to use your hashtag or tag your account. Doing so could help your otherwise ordinary posts spread and get in front of some fresh followers. What Are You Doing to Boost Your Instagram Following? Businesses and brands have no shortage of options when it comes to moving the needle on their follower count. Consistently creating content based on these tips represents an actionable way to organically grow your following over time rather than hope that followers will flock to you. Jonathan Chan: Jonathan Chan is the Content Crafter at Foundr Magazine, a magazine for young entrepreneurs. He can often be found writing and reading anything and everything to do with entrepreneurship and the startup world. That or spending too much time pretending to be the next MMA star. Check out more of his writing over at the Foundr Blog.